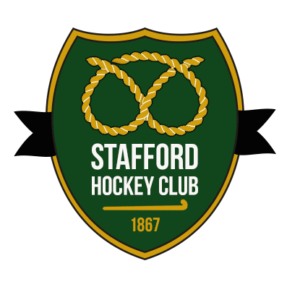 Established in 1864, the Stafford Hockey Club is part of the wider Stafford Cricket & Hockey Club, Stafford’s oldest sports club. We currently runs five adult mens teams who compete in the Midlands Regional Hockey Association (MRHA) leagues and four ladies teams who compete in the Staffordshire league. We also offer veterans hockey, have a Saturday league badgers team (under 18s) play mixed hockey, enter various summer league competitions and regularly go on tour to tournaments in Blackpool, Harrogate and Milton Keynes. Our junior development programme has a packed training schedule which includes local primary school and other community links. We truly do welcome players of all abilities and have something for everyone. If you are the next Barry Middleton or Alex Danson or don’t even know how to hold a stick, you will be made to feel welcome. It’s not just about the sport, we’re a sociable bunch too! Our Clubhouse located on Riverway, Stafford hosts our packed social calendar of events throughout the year. These include our Christmas party, End of Season Dinner, Family Fireworks Night, Quiz Nights, Race Nights and more. The highlight of the year comes with an annual three day beer, music and hockey festival in April. Explore the website to find out more about how to join, our teams, events, sponsors how to hire our function room and affiliates. We take our responsibilities seriously and conform to England Hockey’s codes of conduct and welfare. We also hold a comprehensive insurance policy covering playing related injuries.